Echo Input is a very small device that allows you to turn any speaker into a smart speaker with Alexa. Amazon has only launched Alexa and the Echo smart speaker line for three months, and the family is already expanding with the arrival of a new component: Amazon Echo Input comes out practically simultaneously with international markets, including the United States, to allow everyone to have a smart speaker at home without having to give up a speaker or stereo system already in the house. We tried Echo Input paired with an Ultimate Ears Megaboom 3 speaker from Logitech, as proposed by Amazon itself which allows you to buy the two bundled products at a very affordable price. Inside the Echo Input package we find the device, a microUSB cable, a network power supply and an audio cable with 3.5mm jack sockets. Echo Input is basically a small black or white disc with a diameter of 80mm and a thickness of 14mm; the weight is 79 grams. 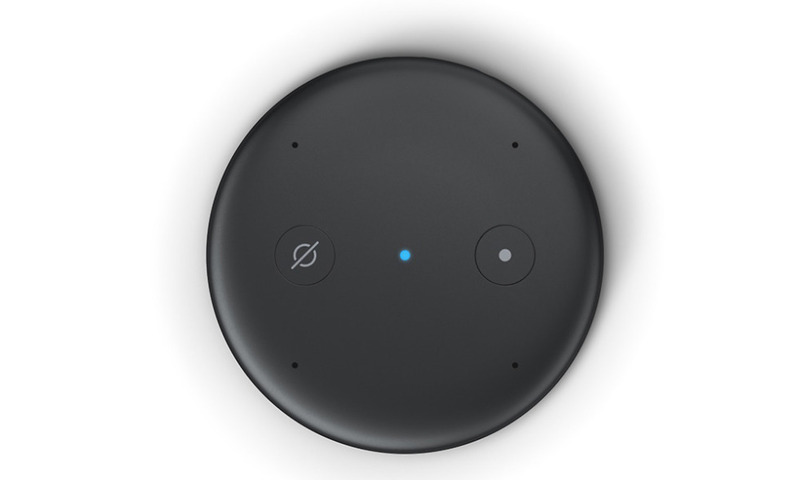 On the top of the device we find two buttons on all Echo products, the action button and the mute button, a blue LED that lights up when we call Alexa, and four holes for as many long-range microphones. On the side we have the microUSB port for the power supply and the 3.5mm jack audio output. There is also Bluetooth connectivity, to connect to a speaker in wireless mode, and the 2.4GHz and 5GHz dual band WiFi 802.11 a / b / g / n.
Echo Input is available on Amazon for $49.99. The Megaboom 3 speaker bundle is available for $199.99, which is practically the price of the speaker alone. The launch of Echo Input was undoubtedly a great move by Amazon. The other products of the Echo family in fact are able to reproduce good quality music, but they can never be up to a high-end stereo or surround that many of us may already have at home. And although Echo Dot, Echo or Echo Plus also have an AUX output, Echo Input costs much less and helps bring Alexa into even more houses. 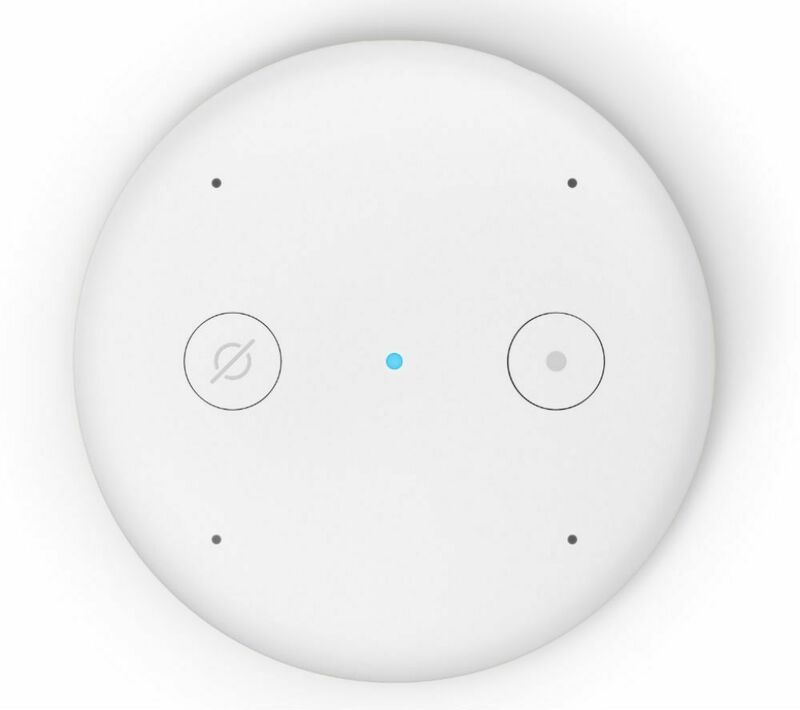 The initial configuration is very simple and identical to that of the other Echo devices: it is sufficient to launch the Alexa app and add a new device, which takes only a couple of minutes. At this point we can associate one or more speakers via Bluetooth and / or connect the 3.5mm jack. Echo Input will wait for its wake word and send the response to the first speaker it finds connected. In this way we can for example connect a stereo system at home, a portable speaker like the Megaboom 3 for when we are traveling, and even the system of our car using the smartphone as hotspot. We can also use a headset, both wireless and wired, to stream music without disturbing family or roommates. Echo Input is in fact able to perform all the operations of the older brothers: we can ask questions to Alexa, play streaming music on Amazon Music, Spotify or TuneIn Radio, listen to the latest news and manage our smart home with thousands of Alexa Skills. We can also include Echo Input in a multi-room listening group to play music in multiple areas of the home simultaneously. Be careful though if you use Bluetooth connectivity, as it may be possible to notice a slight delay especially if the rooms are adjacent. A cable connection in this case is certainly more efficient. The small size of Echo Input allows it to be placed almost anywhere and even to hide it between the books on a shelf or behind the sofa, but while resting on a floor it integrates very well with the furnishings of each home. As we said above, Echo Input is very convenient even on the move: we took it with us along with the EU speaker Megaboom 3 during a recent trip, and we were able to use all of Alexa’s functions in the evening in the room, but also outdoors. Thanks to the IP67 certification of Megaboom 3 we will soon be able to take Alexa with us to the beach or to the pool and ask her to listen to our favorite playlist or to play our daily summary without having to take the smartphone out of the bag. In conclusion, Echo Input really surprised us with its versatility and the simplicity with which we can always take it with us. Thanks to the affordable price we strongly recommend having at least one at home! Alexa, Amazon, Amazon Echo Input. Bookmark.